Yesterday I took a 2 hours ride with two of my girlfriends and it was such a fun experience. 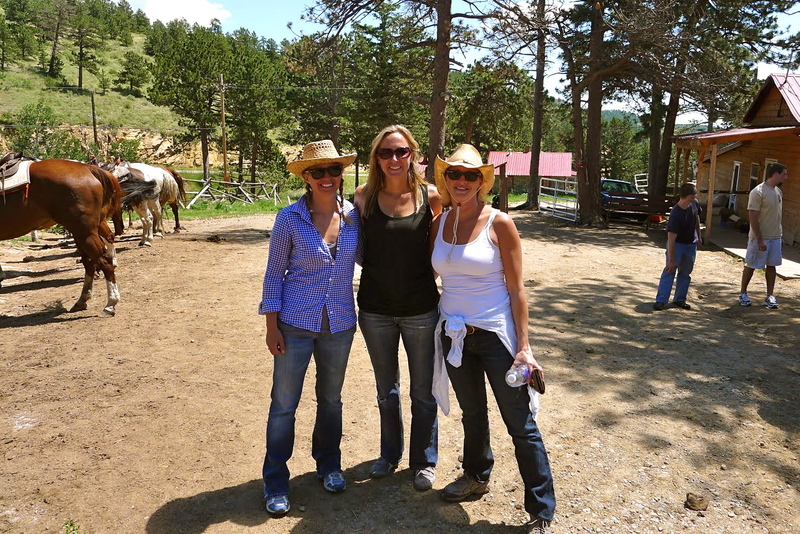 The horses were great & obviously well cared for and the scenery was fantastic. Our guide, Chance, (pictured above) was so great and seemed to belong on a horse in the countryside. I didn’t see the brand of cigarettes he was smoking but I’m pretty sure they were Marlboros. 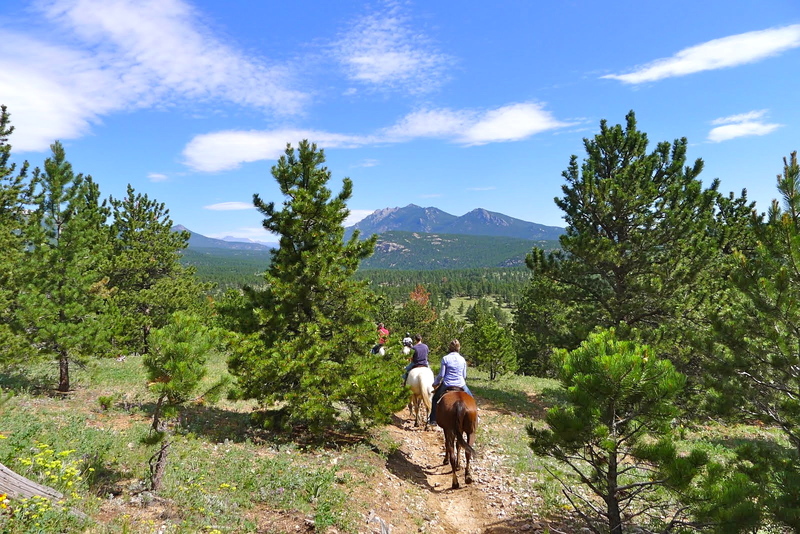 Just about 45 minutes from Boulder towards Estes Park we took a trail ride from Allenspark Stables. For only $50 it was a great 2 hour ride. 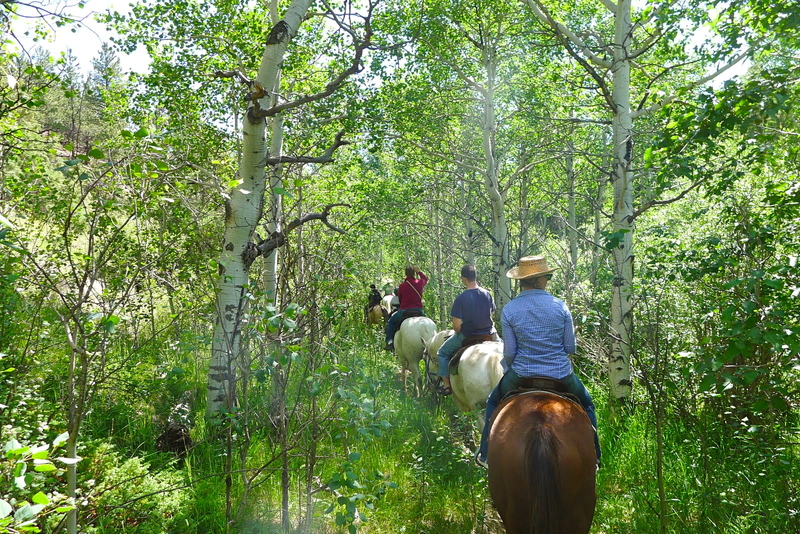 We rode through beautiful meadows of wildflowers and probably one of my favorite parts was riding through an aspen glen near a brook. It couldn’t have been a more beautiful day to be out in the mountains. Blue skies, perfect temperature. It was good we went in the morning because we avoided the daily afternoon thunderstorms. It was a great ride for beginners, or those like me who haven’t been on a horse in a long while. 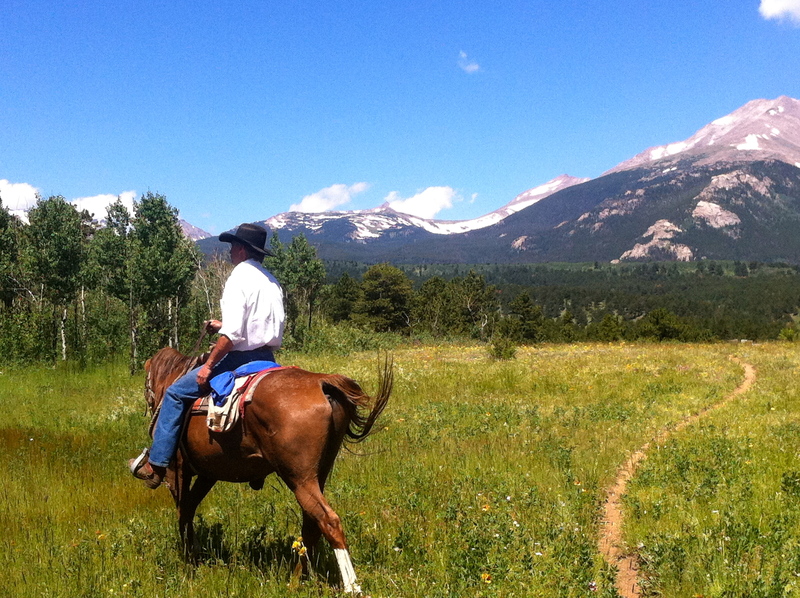 You are currently reading Colorado by horseback at 52 To Do.